We strive for innovation. In order to stand out from the crowd, you have to do things a little differently. Pushing the boundaries of what has been done before is the only way to achieve maximum growth and recognition. We are therefore extremely proud that KPMG and H2 Ventures have recognized Quoine in the 2018 Fintech 100 Leading Global Fintech Innovators list. The purpose of the Fintech 100 is to annually scope out and evaluate the most innovative fintech companies around the world. Quoine placed 29th on this year's list among a number of other exceptional companies. It’s our honour to be recognized as the most innovative cryptocurrency exchange in the list for 2018. Our quest for innovation will not stop. Cryptocurrency is a rapidly emerging space. This year marks the 10-year anniversary of the Satoshi whitepaper. It’s astonishing to see the amount that has changed in that time, along with the levels that cryptocurrency has reached. There has been a huge amount of innovation across the board with more than 1,600 different cryptocurrencies and tokens available now. A number of these projects are truly innovative and will go on to reshape entire sectors thank to their recognition of the transformative power of blockchain technology. Crypto has come a long way, but this is just the start. There are many more hurdles to jump and tricky paths to traverse. 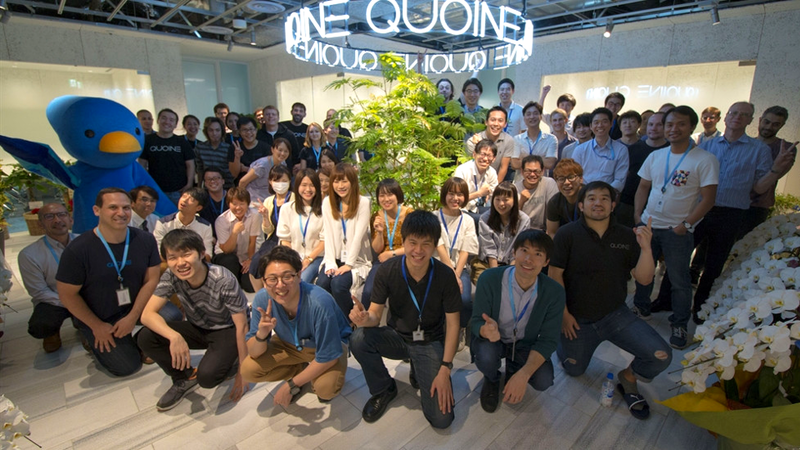 Quoine is committed to bringing cryptocurrency to the mainstream and using blockchain to revitalize the financial sector. Liquid is our path forward. Our World Book technology that matches orders between different order books is one of our main innovations in this space. The World Book will only grow as we progressively connect all of the order books within Liquid and begin to source liquidity from other exchanges. We believe that actively working with regulators is vital and one of the many keys to future growth as a cryptocurrency exchange. Liquid is security oriented, with a number of protocols in place to ensure users accounts cannot be compromised. Not many exchanges can say they store 100% of their users funds offline, but we can. Liquid supports a number of fiat currencies such as SGD and USD so you can feel at home while you trade. Make use of true fiat pairs on our exchange, or even trade BTC, ETH, XRP and BCH on margin against your home currency with up to 25x leverage. Margin trading isn’t for everyone, we get that. You can also use Liquid to safely invest in ICOs, or even to lend your assets and earn daily interest. At the end of the day, crypto is about inclusion and Liquid is all about providing crypto access to the masses. That’s why we built our exchange, so everyone can get involved and #BeLiquid.